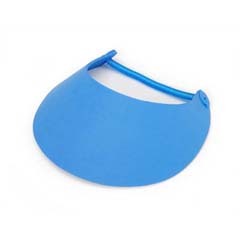 Foamies Royal Blue Visor is 3mm thick and is acid and latex-free. A vinyl coil holds the visor in place. Decorate the visor with other Foamies Stickers and Shapes. Personalize the Foamies Royal Blue Visor with Foamies Markers. Fits children and adults.